Cooking secrets, tips, recipes and discussions featuring The Lakewood Observer's head chef, Chef Geoff (Jeff Endress), conversations about food, and restaurants. 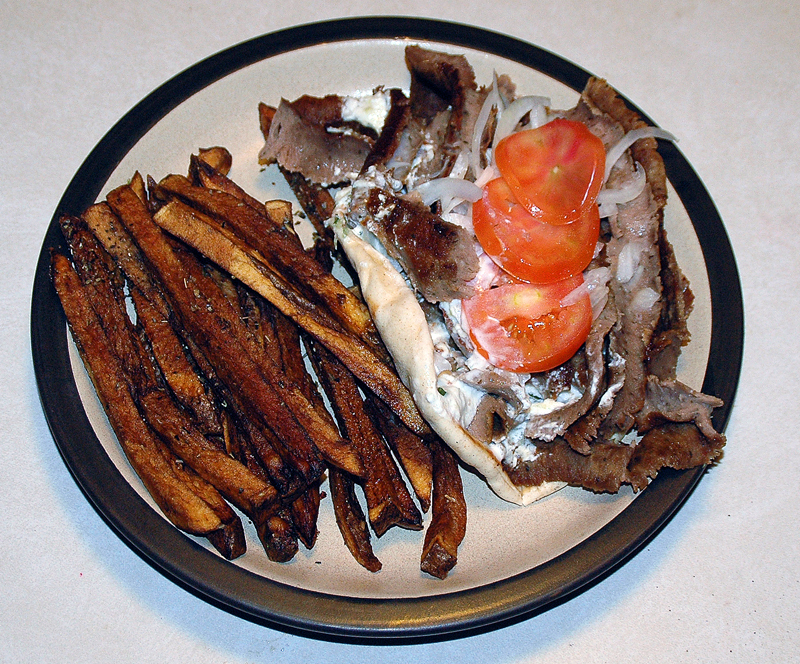 A gyro and fries from The Greek Village Grille at 14019 Madison Ave. 216.228.4976. This meal pictured on a 12" plate costs only $6.75, and was very tasty. on Friday and Saturday! Mon. - Thur. 11am - 11pm, Fri. - Sat. 11am - 4am, Sunday 11am - 9pm. "The very act of observing disturbs the system." "If anything I've said seems useful to you, I'm glad. If not, don't worry. Just forget about it." I concur - Greek Village Grille is fantastic! The gyros are huge (especially if you get it jumbo-sized! ), and delivery is super fast.